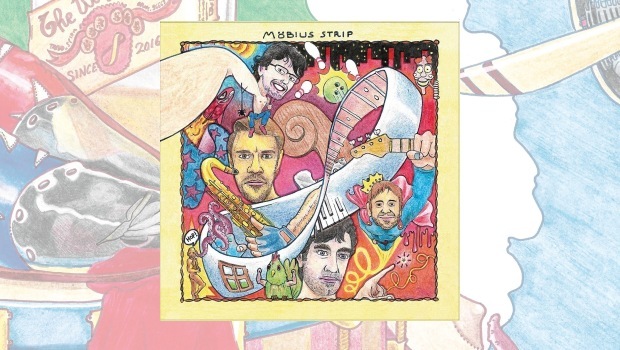 Möbius Strip are a young Italian band who come from small towns in the Lazio and Abruzzo areas, they are all in their early twenties but on this debut appear to show considerable maturity. The band states that they got their inspiration from the object from which they took their name; a möbius strip geometrically connects the two sides of the same surface by starting a path on one of them. This then became the purpose of the band, to combine different styles and influences to make a whole sound. They have crossed a number of genres but have created a sound which is still firmly rooted in jazz. The six tracks presented here have all been written by keyboardist Lorenzo Cellupica, with the entire band contributing to the arrangements. What they have produced is a selection of carefully crafted songs with some excellent arrangements, which gives each instrument the room to excel, but all the while interlocking carefully with each other. There is no guitar used here, but that is not immediately obvious, such is the standard of the playing. The piano and keyboards from Lorenzo and the wonderful saxophone of Nico Fabrizi take the lead alternately, supported by some great drum work from Davide Rufo, ranging from subtle to more forceful and matched by Eros Capoccitti’s marvellous bass lines. The rhythm section provides the drive and energy allowing the keys and sax to fold around each other. Things kick off with Bloo, a gentle start creating a piano-led groove before we get to an easy saxophone, getting a little more frenetic as it gives way to keyboards and then return to sax. All of this is supported by the rhythm section to push it to the end. The bright piano of Déjà Vu alternates the lead with the sax to create some melodic passages. This upbeat, almost feel good vibe continues throughout the remaining tracks; on Andalusia the playful keyboards give an Iberian feel to the start and throughout, the shortest track Call It A Day at just under three minutes has a lovely gentle feel provided by the piano and supported by some great bass work. The title track has a lovely drive provided by the rhythm section, this song having the jazziest feel of the album, Eros providing us with a wonderful bass solo. This is a beautifully paced album, and at forty-five minutes long does not outstay its welcome, leaving you with a satisfied feeling and wanting to hit repeat. The tracks can be accessed individually without spoiling the enjoyment, but equally work well as one straight listen from the beginning. A very good debut album with an upbeat feel, played with great energy and providing some nice gently melodic grooves.